I'm a mindfulness-based Licensed Professional Counselor & EMDR Therapist in South Central Austin, TX. My name is Sara Decker-Paules, MA, LPC and I am the founder of Mindful Soul Center. I'm a Licensed Professional Counselor (LPC) in the State of Texas # (74916). I hold an M.A. in Counseling from St. Edward's University in Austin, TX and a B.S. from Texas A&M University in College Station, TX. I am a trained therapist in Eye-Movement Desensitization Reprocessing (EMDR) by Rick Levinson, LCSW. I offer counseling, mindfulness and EMDR services and am passionate about helping people create lives for themselves that are fulfilling and bring them authentic happiness. Some of our life events & stories can be difficult to relive and talk about. I believe that each time we tell our story to a compassionate listener, we take back a little more of our power & control. ​Clients tend to describe me as compassionate, kind, relate-able, and direct in my approach... with a little humor added in when appropriate. I will never leave you alone in the therapy process. I am here to listen, collaborate with you as a team, and at times challenge you. As long as you are honoring yourself in the process, you are doing therapy right! My specialties include depression, bipolar disorder, trauma, sexual identity & sexual exploration after trauma, anxiety, highly sensitive persons (HSPs) & desire discrepancy in relationships. 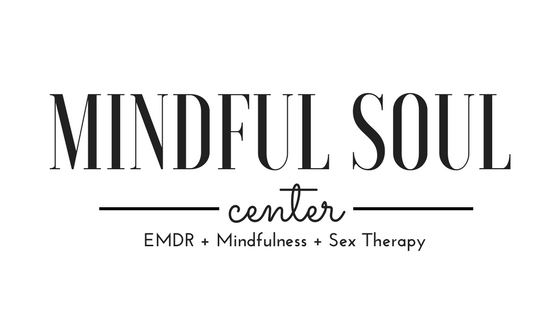 If you would like to start therapy with a compassionate therapist in Austin, schedule your free consultation with Mindful Soul Center today! Learning to accept and love the parts about ourselves that we fear and judge the most is one of the bravest adventures we will ever embark on. I am trained in a variety of different therapeutic & holistic approaches that help to support you through this journey to a destination of self-love and peace. I believe that we need positive support & mentors in our life to reinforce the good we want to bring into our new life. Whether you decide to work with me or someone else, I wish you all the best as you trek through this new adventure in your life. It's hard to live the life you want and to feel like yourself when you feel trapped by shame, self-criticism and fear. Shame thrives in isolation and grows stronger when we keep our fears to ourselves. Therapy can be a place to openly talk about these issues in a safe, private space and get caring, honest feedback from a non-judgmental person who isn't a part of your real life. Eye Movement Desensitization and Reprocessing (EMDR) Therapy is an evidenced-based therapy that has been extensively researched and proven effective for the treatment of trauma. This containing form of therapy can help people heal from challenging clinical conditions such as trauma, PTSD, panic, anxiety, depression, relationship issues, addictions, dissociation and so much more. I use both talk therapy approaches and EMDR therapy in my sessions, depending on my client's preference. If you would like to schedule a consultation to find out if EMDR is the right treatment approach for you, please contact me for a free 30-minute phone consultation. To learn more about EMDR, head here. Call me at 512-297-1720 or email me at hello@sarapaules.com to schedule your free 30 minute consultation.